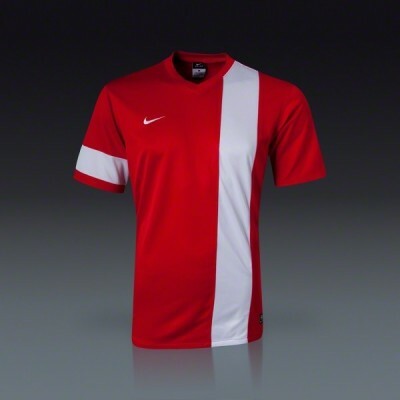 The Nike Striker III Soccer Jersey is one of the most popular soccer jerseys, and rightly so. This jersey is one of the most aesthetically pleasing jerseys. 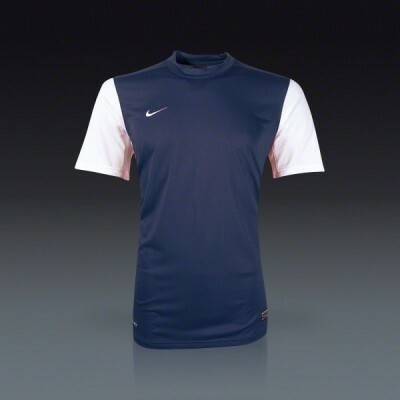 The Striker III features a v-neck collar and a vertical stripe down the left side of the torso. A horizontal stripe wraps around the right sleeve. 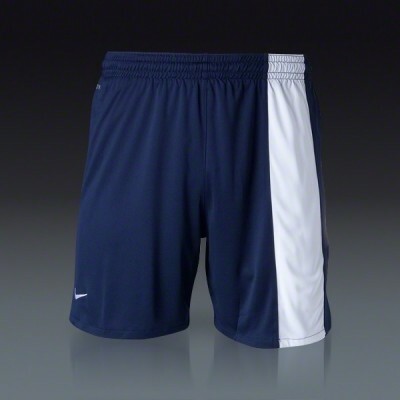 This jersey comes in a wide variety of color options.